The switches can overheat, posing a fire hazard. Southwire Company of Carrollton, Ga., is recalling about 30,000 WiOn Indoor In-wall Wi-Fi Switches sold in the U.S. and Canada. This recall involves the WiOn Indoor In-wall Wi-Fi Switch. The switch allows a consumer to control and monitor the lights and appliances at home or at the office with a smart phone from anywhere using a smart phone app. 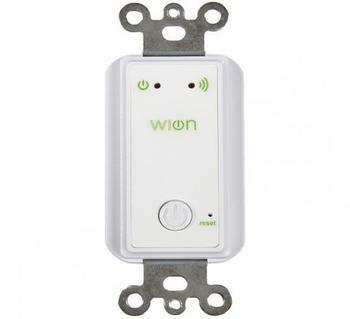 The product is designed to be installed into a single-switch outlet and is white in color with the “WiOn” logo in green on the front. The switches, manufactured in China, were sold at home improvement and hardware stores nationwide and on-line at Amazon.com and Walmart.com for about $40 and about $80 for a three pack. Consumers should immediately stop using the recalled switches and contact Southwire to receive $4 to purchase a standard (non Wi-Fi) replacement switch. In addition, consumers will receive a full refund once the recalled Wi-Fi switch is returned to Southwire. Consumers should hire an electrician to perform the replacement and Southwire will reimburse them for this cost. Consumers may contact Southwire toll-free at 888-770-7156 Monday through Friday from 7 a.m to 6 p.m. (CT) or online at www.wionproducts.com and click on “Product Recall” for more information.